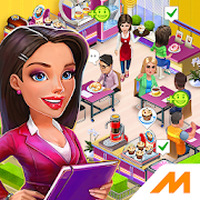 "Manage your own cafe in a quiet town"
Game Goal: Test your skills as a manager by dealing with the challenge of running a busy restaurant. How to Play: Manage your restaurant well and serve customers quickly to achieve the objectives of the day and increase your income. 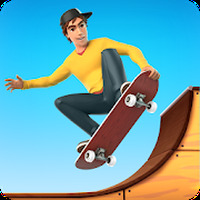 Graphics: The game includes detailed 3D graphics that you can customize with your face. Controls: Touch the screen to make the dishes, satisfy the customer and customize the environment. Rating: The TOP 10 Most popular games in Business Games category. Includes expensive items that are necessary to win the game. Do you like My Cafe: Recipes & Stories - World Cooking Game? Get ready to drive a bus through the streets!